In the modern fire environment our window for saving civilian lives is getting smaller and smaller by the second. This lecture will examine civilian survival rates based on time and how that information can be utilized to spur improved training and develop more expedient fire ground operations. Through the introduction of scientific management methods and the "light and fast" approach used in mountaineering, the lecture will focus on the difference between effective and efficient operations, ultimately demonstrating how the latter creates better chances for both THEM and US. Ben Shultz is a firefighter/ paramedic with West Palm Beach Fire Rescue. His 15-year career has taken him from southern California to Colorado to Florida, from rural to suburban to urban districts. He has split his time riding the truck, engine, heavy rescue, squad and medic. Ben has been an instructor with Irons & Ladders and When Things Go Bad and currently teaches with Fire By Trade. 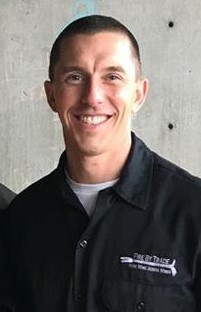 His teaching opportunities have taken him to the Fire Nuggets Boise Firefighters Symposium, Mile High Firefighters Conference, FDIC, Fort Lauderdale Fire Expo, Orlando Fire Conference, Metro Atlanta Fire Fighter Conference and the Portland Firemanship Conference.